Are you a Citbank credit cardholder, Robinsons Reward card member or JG Summit employee? 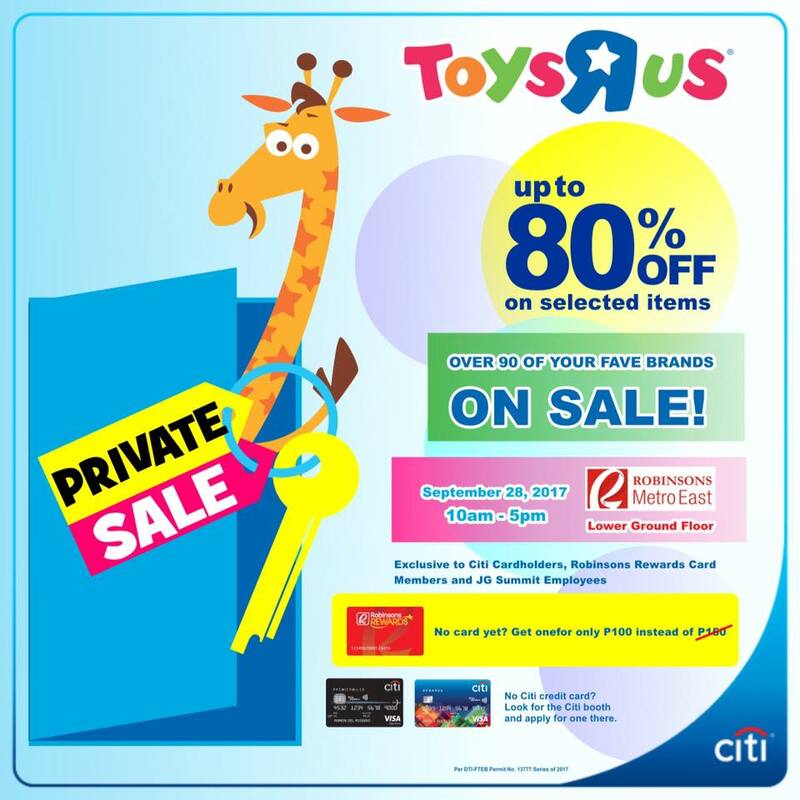 If so, don't miss Toys "R" Us Private SALE happening on September 28, 2017 from 10pm to 5pm at Robinsons Metro East. 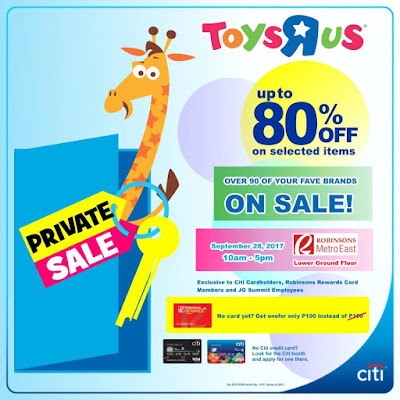 Grab up to 80% OFF on your fave toy brands! Simply flash your Robinsons Rewards Card or Citibank Card to gain access to this exclusive event.